“Hands of Stone’, “The Hitman”, The Bayonne Bleeder”, ‘“The Mongoose”, “The Brown Bomber” What do these nicknames have in common? If I threw in “The Greatest” you would quickly realize these are some of the best nicknames in the history of boxing. Unlike most nicknames, which are assigned by others, Muhammed Ali’s self-proclaimed himself ‘The Greatest” and he defined it many ways. The media returned his self-proclaimed greatness in kind and nicknamed him “The Louisville Lip” because he was born in Louisville, KY and never stopped talking. Others called him “The Champ”. But as we know, he did not stop with naming himself. Quick on his feet, quick with his tongue, he gave his opponents derogatory nicknames as some sort of psychological punch outside the ring. When he first fought Sonny Liston he called him “the Big Ugly Bear” famously suggesting Liston even smelled like a bear. He called Floyd Patterson “The White Man’s Champion.” And perhaps most famously, he called Joe Frazier an “Uncle Tom” going on to say Frazier was both too dumb and too ugly to be the champ. His fights were also nicknamed. “The Thriller in Manilla” and “The Rumble in the Jungle” became the stuff of legend and these fights live on, because of, and through their nicknames. Ironically, and in the end, the man who had a way with words was silenced by Parkinson’s during the last years of his life. The “Louisville Lip” is now silenced. “The Champ” fought but lost his last battle. “The Greatest” may be gone, but he will never be forgotten. Peace to his memory. 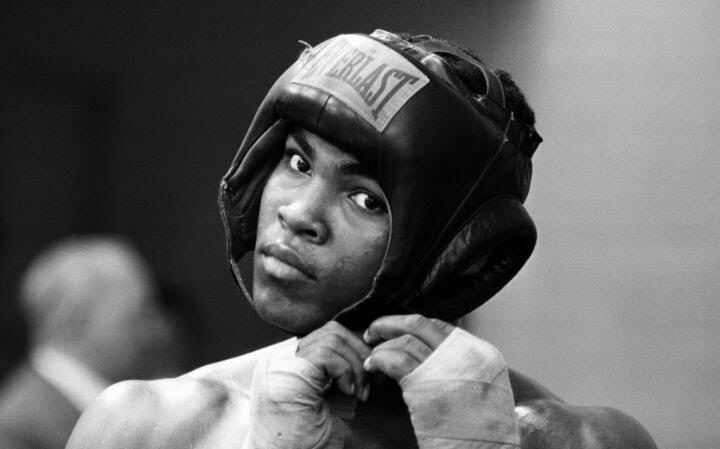 To the world he was greatest, and he was a pretty decent boxer too.